We’ve all heard of the excesses, egos, and vanity celebrities and rock ‘n roll musicians display from time to time. One story has given a popular band a bad rap, but when you know the full story, it makes their lead vocalist comes across as a first-rate manager. 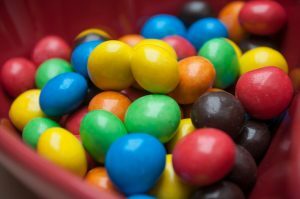 This story involves brown M&Ms. Roth had a clever way to verify that the music venue’s management followed through with all the provisions in the band’s lengthy rider: He purposely put in rider 126 the no-brown-M&Ms clause. If Roth arrived backstage and looked at the bowl of M&Ms and eyed a brown candy, he would stop everything and line-check the entire production. His feeling was that if they missed this one modest detail, he then worried about technical errors, rigging, overlooked weight requirements, or countless other items that might have been missed. At one venue, the local promoters failed to read the weight requirements and the staging would have fallen through the arena floor. Roth’s idea was a clever one to safeguard and protect his fellow musicians, the production staff, and the band’s fans. Turning the conversation back to parking, when you create requests for proposals and are ranking options, what item(s) make you question whether the vendor fully addressed your request? Or as Van Halen would ask, what brown M&Ms “jump” out at you and give you concern?